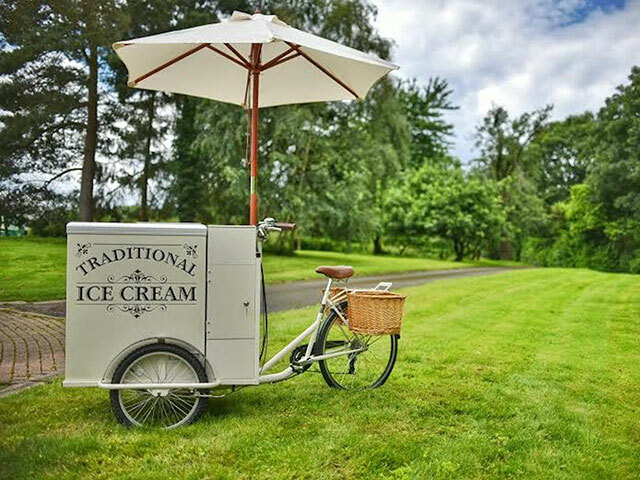 Our traditional ice cream bicycles have the wow factor at any wedding/special occasion whether it’s inside or out and therefore at whatever time of the day you choose. Quick to setup and easy to move. We can get to places that an ice cream van can not. Why not let us fit into your event perfectly. With our handmade award winning Dairy Ice Cream We can serve any amount of guests with your personal selection of these ice creams. All perfectly fresh which is why we have so many repeat bookings. We are fully insured and our staff are always friendly.